Kalavryta (Greek: Καλάβρυτα) is a charming small town in North Peloponese at 750 metres near Patra and at approximately two hours and a half drive from the capital, Athens. 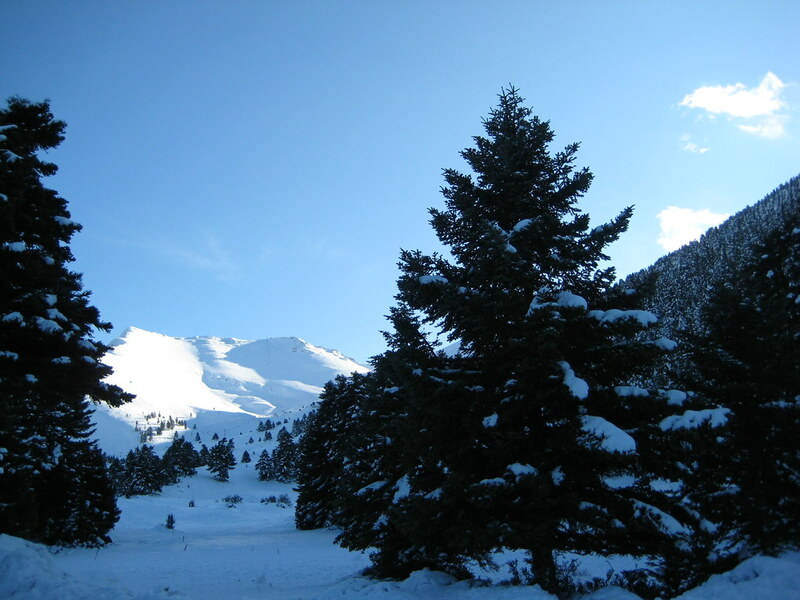 Kalavryta is well known for its ski station called Chelmos ski centre on the homonymous Mount Chelmos (also known as Aroania, highest summit: 2,341 metres). The ski centre is located at only 15 km from Kalavryta and is beloved by the Greeks themselves as well as foreigners, who enjoy winter sports. The history has marked Kalavryta due to the terrible Holocaust during the World War II and nowadays the town proudly stands as a symbol of freedom. Around Kalavryta you will be able to find quite a few Byzantine monasteries, such as the monasteries of Aghia Lavra and Mega Spilaeo. Kalavryta and its surrounding region offers wonderful panoramic views over the moutains of Peloponnese and the Gorge of River Vouraikos . In fact, the 22-km long Diakopto-Kalavryta trip on the small cogwheel train, known as Odontotos, which goes through the Vouraikos Gorge is one of the most fabulous trips in the region. The blue markers shows the location of various accommodations in Kalavryta. The letter in the marker describes the accommodation types: H for Hotel, A for Apartment, R for Resort, B for Bed & Breakfast and O for Other (e.g. pension, villa). Click on the blue marker for more information on the accommodation.